Formed in 1997, the Launies have continued to delight audiences throughout the Mid Atlantic States and further afield with their fascinating approach to celtic music: traditional songs and tunes played with a contemporary touch ... and plenty of humor. The band has appeared far and wide at festivals and in concert, presenting fiddle and mandolin led Irish jigs and reels along with a wide variety of songs from Irish, Scottish, British and American sources. The Launies are led by founder, singer and guitarist, Jamie O'Brien, a transplant from London who has lived in the US since 1989. He brings his vast repertoire of Irish, Celtic and music hall songs, many learned during his London-Irish childhood, to the band. For two decades, he lived in Pennsylvania before moving to his current home in Arizona. During his time here, he has established himself as an in-demand accompanist (having played with such performers as singer Aoife Clancy, fiddler Jim Eagan, accordionist Dan Possumato and many others) as well as a fine solo performer. He regularly plays alone, singing his own songs or playing Hawaiian music (slack key guitar, ukulele). Henry Koretzky has worked with the Launies since the band's inception and has been a full time member for over a decade. He brings a wide selection of songs and tunes, including many cross-overs from the British Isles to Appalachia. He plays mandolin, mandocello and guitar and creates many of the arrangements the band performs. Over the years, he has regularly played in a number of styles, including bluegrass, swing and new country. He currently can also be heard performing with the Harrisburg Mandolin Ensemble, the ContraRebels and Sweet Nothings. Perhaps Bruce Campbell is one of the most in-demand bassists in any style in Central Pennsylvania. For over a decade, he has helped provide a foundation for the Launies. He can also be heard frequently bringing his music to many other performers as part of Rue de la Pompe, Ruby and the Hummingbirds and the Vintage Jazz Band. Musical legend Ken Gehret sings and plays a number of instruments with the Launies, including fiddle, flute, accordion and guitar. Since joining the band in 2011, he has added new dimensions to the sound and introduced more songs to the repertoire. He can be seen frequently performing throughout the area solo or as part of Irish Mist, Rue de la Pompe and the Jazz Katz. 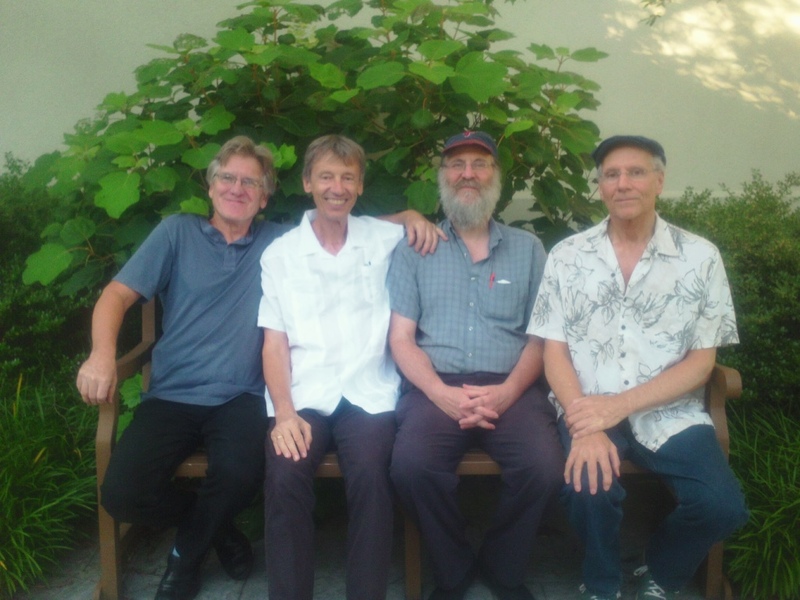 Henry, Bruce and Ken often join singer/songwriter Kevin Neidig and also perform jazz as Rue de la Pompe; Henry, Bruce and Jamie often perform together at contradances as Unbowed; Henry and Jamie frequently get together as a duo, playing celtic, Americana and Hawaiian music. For decades, these musicians have played together in various lineups and styles, which has resultedin an uncanny understanding between them, allowing them to introduce new elements to their music, to improvise and switch styles with ease and to delight audiences with their off-beat sense of humor. An evening with the Launies is an experience rarely forgotten: driving instrumentals, emotional ballads and fascinating explanations to the music, all presented with respectful light-heartedness by a group of talented musicians who enjoy sharing their music.